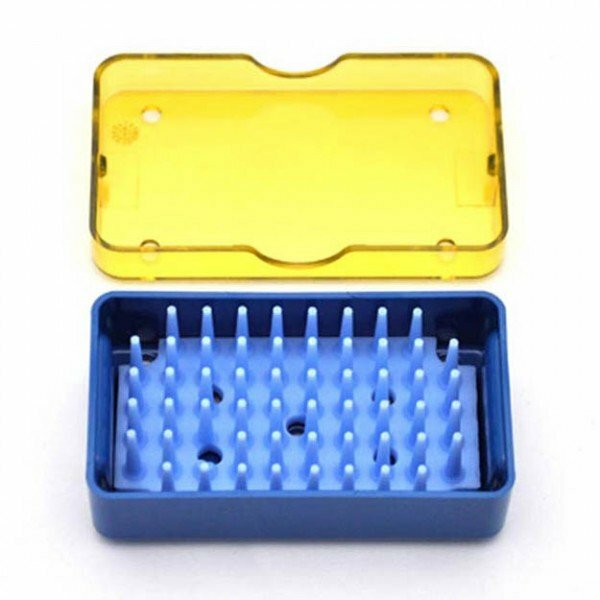 Sterilization Tray set consisting of Base, Lid, and Mat insert. 1.5 inches by 2.7 inches by 0.75 inches. 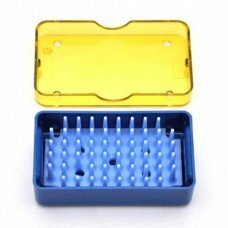 Sterilization Tray Set with Base, Lid, and Silicone Mat. 1.5" x 2.7" x 0.75"